SELECT Sport A/S is one of the world’s leading manufacturers of hand-sewn balls. The innovative, Danish company with a long and exciting history manufactures around three million balls a year and is represented in major parts of the world, also exporting to over 50 countries. The company was founded in 1947 by Eigil Nielsen, the Danish national football team’s goal keeper. He participated in 28 national matches from 1940-1951 and won bronze with Denmark at the Olympic Games in London in 1948. In Eigil Nielsen’s days top players could not live solely from their sport so he chose to train as a sports psychologist and also had a job in the shoe and leather industry. Here he created the first SELECT football. In 1951 Eigil Nielsen entered into an agreement with the Danish Football Association on supplying footballs to the national football team’s matches. 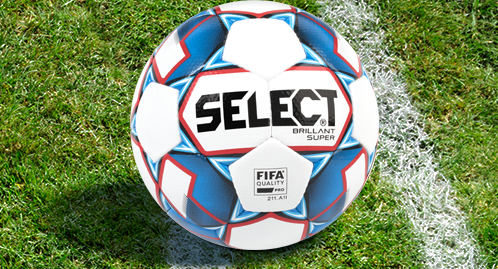 As something completely new, the SELECT football had no outside cord. This meant that the ball retained its round shape much better and that the cord was not a nuisance when kicking or heading. The improvement was a radical new invention. At this time, all footballs were made up of eight sections of cow leather which most of all looked like a brown leather orange. Later 18 oblong strips were used before SELECT in 1962 introduced one of the greatest inventions in the history of football - the 32-section ball. At the beginning of the 1970s Eigil Nielsen was again a forerunner when he and SELECT brought out a handball with 32 sections. In 1974 SELECT moved away from cow leather and made the first hand-sewn synthetic leather ball. This material quickly became the material of choice instead of real leather and today practically all balls are made of synthetic leather, regardless of brand.All sorts of football and handball tournaments are still played with balls based on Eigil Nielsen’s 32-section principle - just as all the balls produced in the world today are built on his innovation. 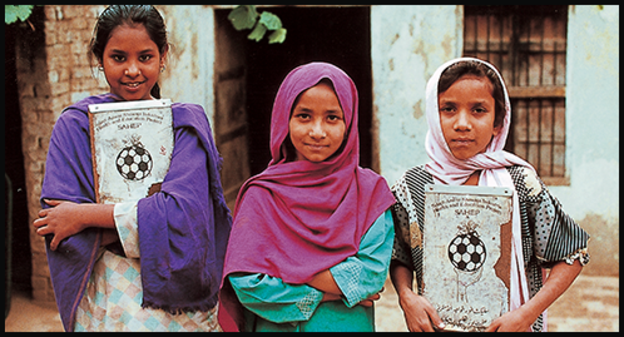 ​Our corporate social responsibility and a description of the health and education programme in Pakistan. Every year, we donate thousands of balls mainly to charity projects for children in African countries. SELECT’s hand-stitched footballs and handballs retain their perfect balance, touch, bounce and flight for thousands of hours, even with severe pitch and weather conditions. It’s not easy to achieve this level of quality. For about 70 years SELECT has only used the best leather and (later on) the best synthetic materials for their hand-stitched balls. We also offer the most comprehensive quality warranties in the industry. To ensure that all SELECT balls live up to our quality requirements, they are thoroughly inspected at our production site in Pakistan and we carry out another inspection in Denmark on our top balls. We inspect the stitching, surface, sphericity, circumference, weight, airtightness and printing inks before we deliver our products. We even pump up the bladders we produce to ensure the perfect balance. Our quality standards are the highest in the industry, even higher than those of FIFA when it comes to the best match balls. SELECT guarantees the quality of our balls. We offer the best warranties in the industry. A 3-year warranty for stitching and shape for our Pro Series balls and a 2-year warranty for our Club Series balls.